Guzman, now a member of the 14th Court of Appeals in Houston, will replace Scott Brister, who left the bench last month to return to private practice. One of at least 26 applicants for the job, Guzman, 48, will be the first Latina on the court and Perry's first female appointment to the panel. The governor has selected at least seven other justices since March 2001. "Justice Guzman is known throughout legal circles as a strict constructionist with an unmatched work ethic, and has demonstrated a proven record of sound jurisprudence," the governor said in a written statement. 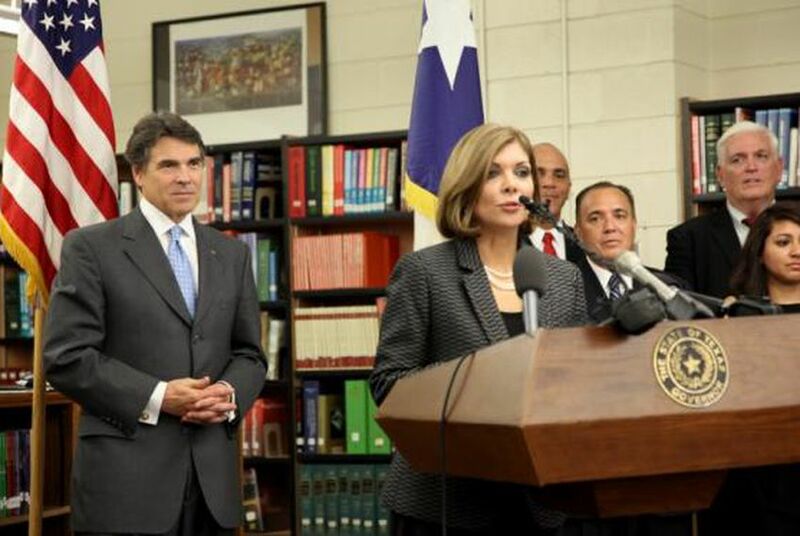 "I am proud to appoint this principled, conservative judge as the first Hispanic woman on the Supreme Court of Texas." Guzman is married to a police sergeant and graduated from Austin High School in Houston in 1979. She earned a bachelor's degree from the University of Houston before attending the South Texas College of Law, where she graduated in 1989. She has been a state judge since 1999, first at the 309th District Court before being appointed by Perry to the appellate post in 2001. She won re-election in 2002 and 2004.